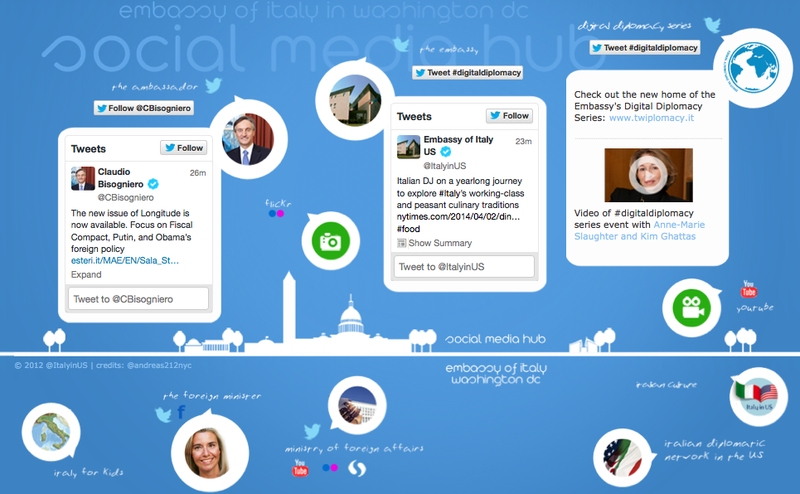 Since I’ve compiled information on US ambassadors to Europe-Eurasia on Twitter, I thought I should flip it around and see how the European ambassadors to the US fare on Twitter. 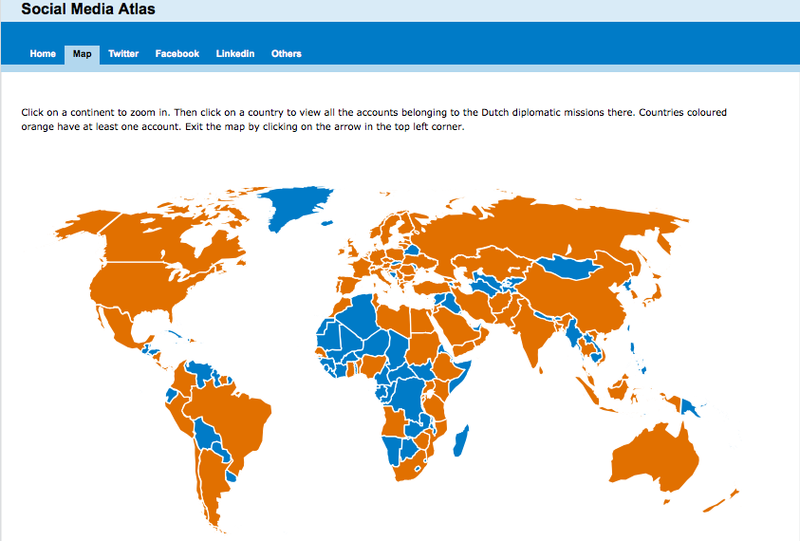 I started first at each embassy’s website and then looked for their ambassador. If there was no direct link to a Twitter account, I then searched the ambassador’s name on Twitter. Similar to the US ambassador list, the date in parentheses following “Twitter Account” is the date I checked Twitter for their information, NOT the date they were sworn in as ambassador. Albania Ambassador to the U.S.
Armenia Ambassador to the U.S.
Austria Ambassador to the U.S.
Azerbaijan Ambassador to the U.S.
Belarus Ambassador to the U.S.
Belgium Ambassador to the U.S.
Bosnia & Herzegovina Ambassador to the U.S.
Bulgaria Ambassador to the U.S.
Croatia Ambassador to the U.S.
Cyprus Ambassador to the U.S.
Czech Republic Ambassador to the U.S.
Denmark Ambassador to the U.S.
Estonia Ambassador to the U.S.
Finland Ambassador to the U.S.
France Ambassador to the U.S.
Georgia Ambassador to the U.S.
Germany Ambassador to the U.S.
Greece Ambassador to the U.S.
Hungary Ambassador to the U.S.
Iceland Ambassador to the U.S.
Ireland Ambassador to the U.S.
Italy Ambassador to the U.S.
Kosovo Ambassador to the U.S.
Latvia Ambassador to the U.S.
Lithuania Ambassador to the U.S.
Luxembourg Ambassador to the U.S.
Macedonia Ambassador to the U.S.
Malta Ambassador to the U.S.
Moldova Ambassador to the U.S.
Montenegro Ambassador to the U.S.
Norway Ambassador to the U.S.
Poland Ambassador to the U.S.
Portugal Ambassador to the U.S.
Romania Ambassador to the U.S.
Russia Ambassador to the U.S.
Serbia Ambassador to the U.S.
Slovakia Ambassador to the U.S.
Slovenia Ambassador to the U.S.
Spain Ambassador to the U.S.
Sweden Ambassador to the U.S.
Switzerland Ambassador to the U.S.
Turkey Ambassador to the U.S.
Ukraine Ambassador to the U.S.
United Kingdom Ambassador to the U.S.
Holy See Ambassador to the U.S.
EU Ambassador to the U.S.
First, out of the forty-seven ambassadors from Europe-Eurasia, only sixteen have Twitter accounts. This surprised me since a lot of the developments in digital diplomacy I’ve seen lately have come from Europe. Second, I was quite surprised that the ambassadors from Lithuania (Žygimantas Pavilionis) and Italy (Claudio Bisogniero) each had more followers than the ambassador from the EU (João Vale de Almeida). I don’t know much about Lithuania’s communications team, but I know that one member of Italy’s communications team, Andreas Sandre, has done considerable work in the field of digital diplomacy and participated in the G+ Hangout that led me to look into this information. Third, France, the Netherlands, and Italy, each have some really cool (and useful) interactive social media sites (even though they may not necessarily focus on the US). I’ve put links to them in the caption of each image so that you can take a look at the innovative ways they’re using social media. In an attempt to make this information more useful, I have created a list on Twitter. Thanks for reading.